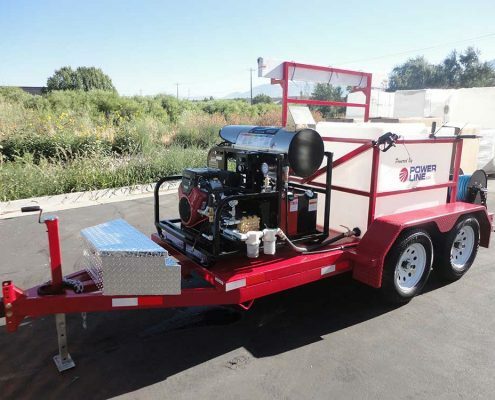 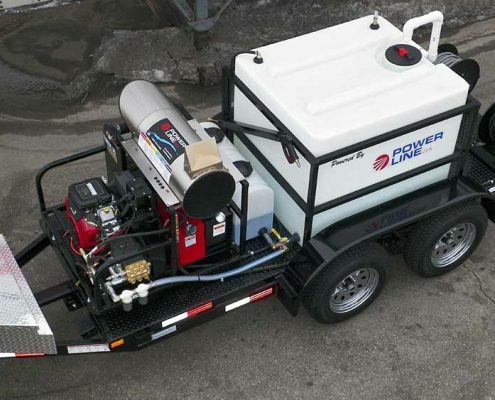 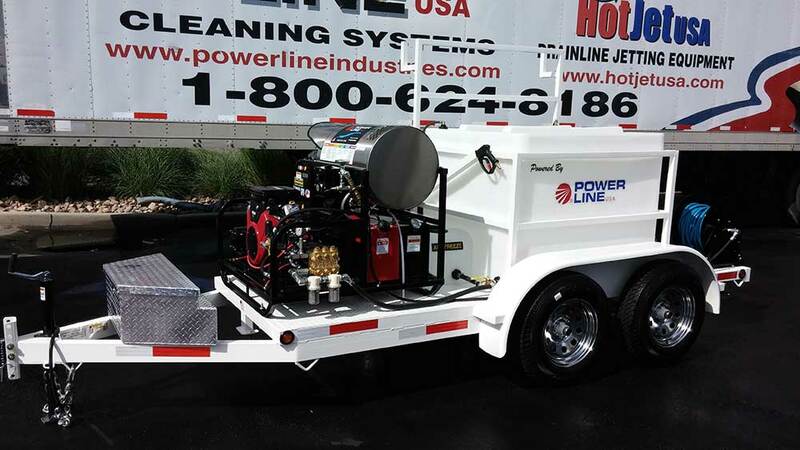 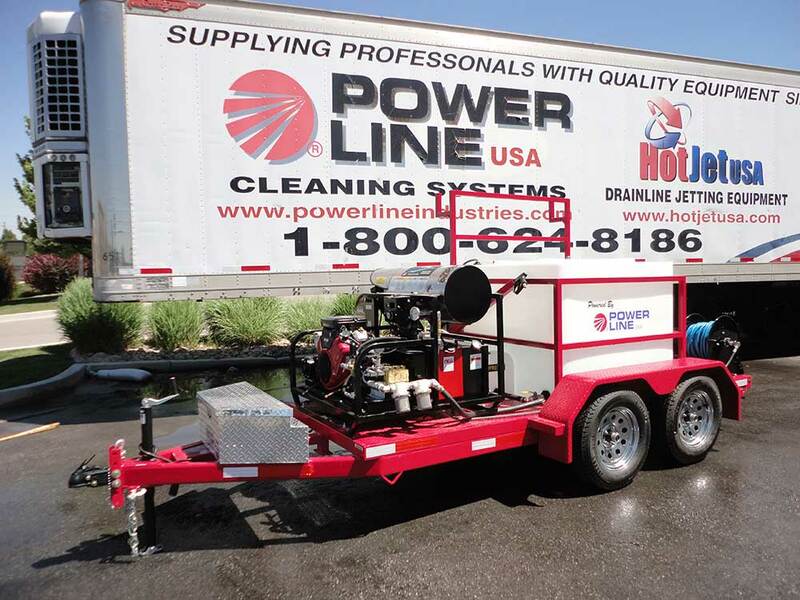 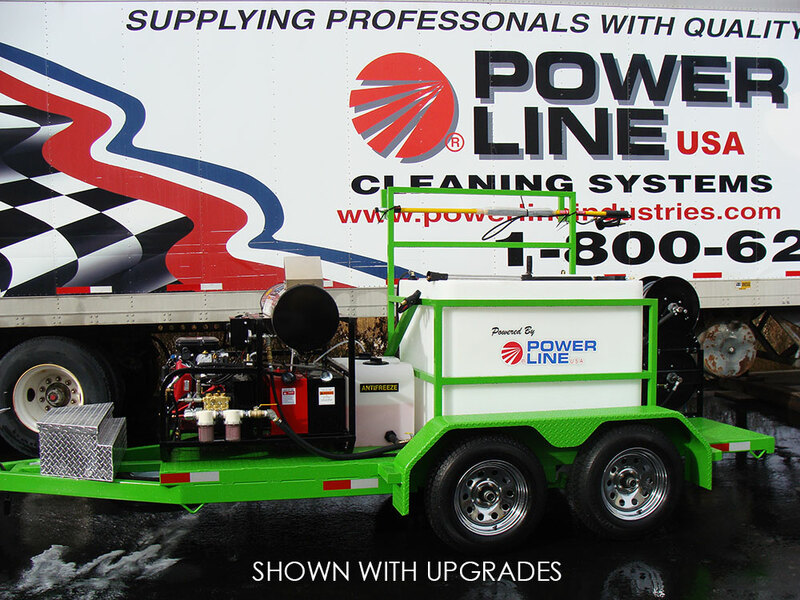 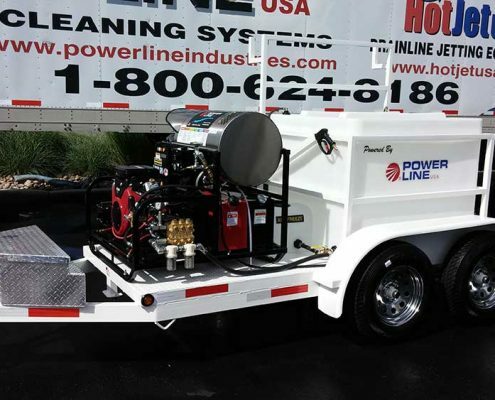 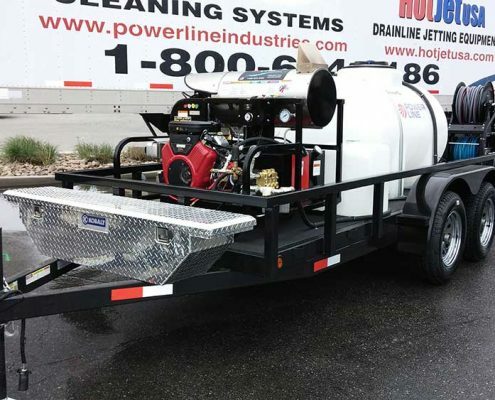 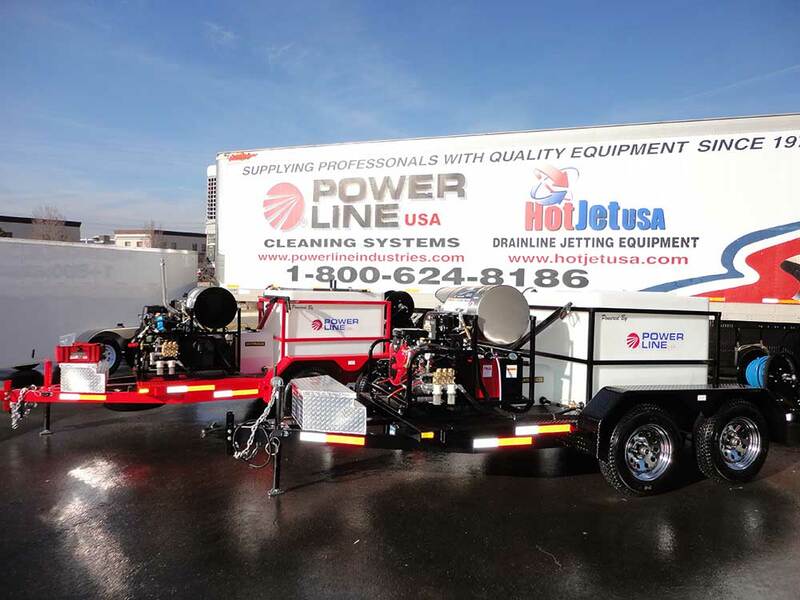 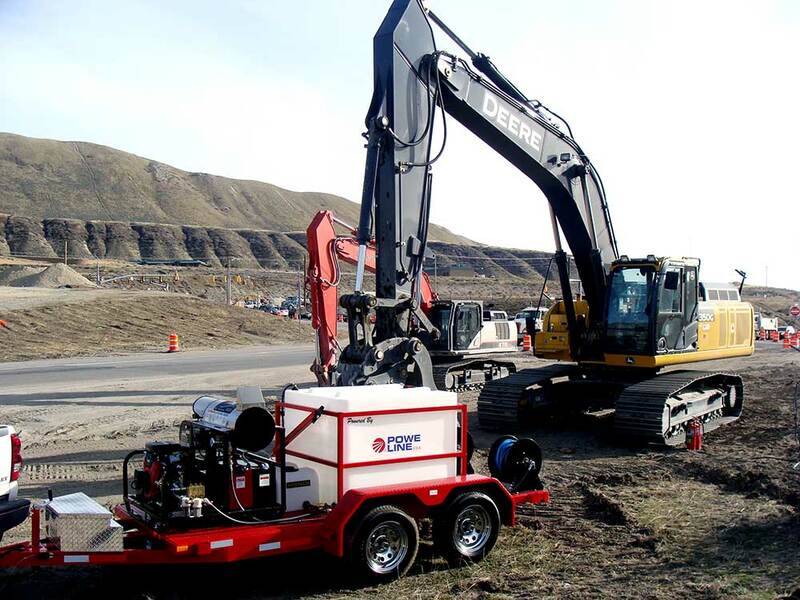 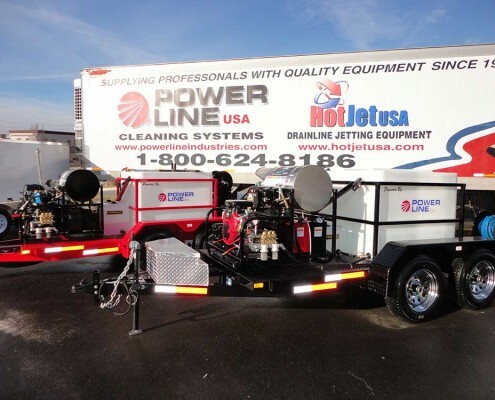 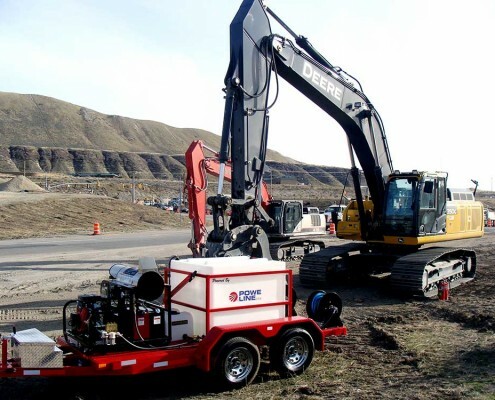 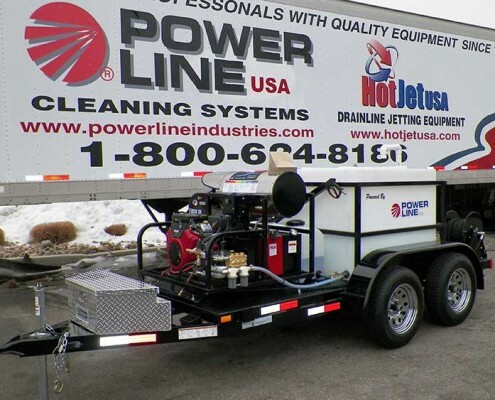 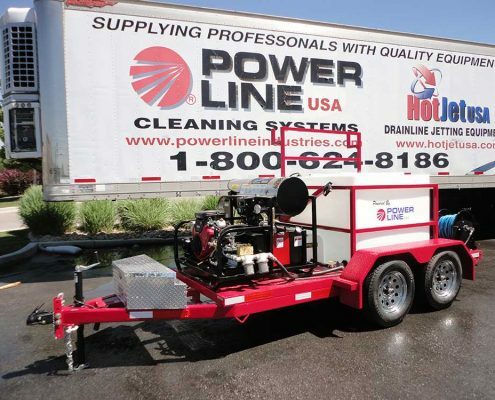 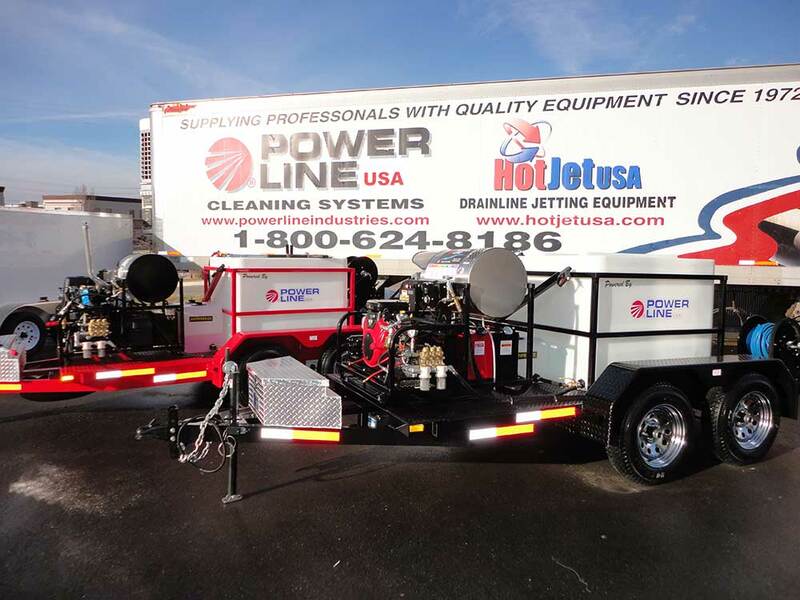 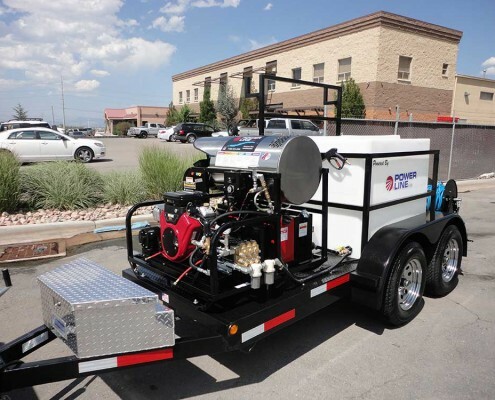 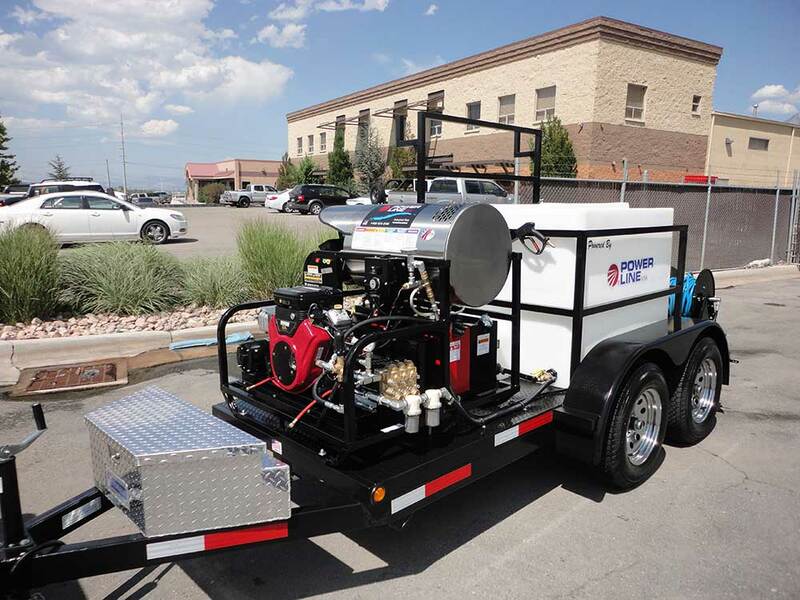 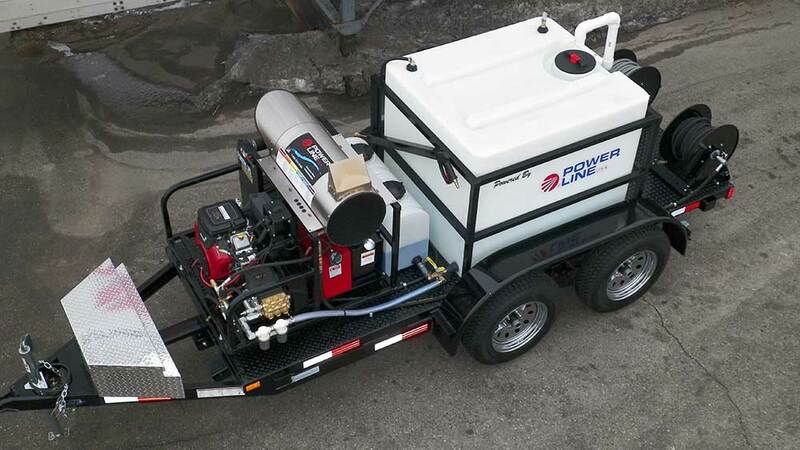 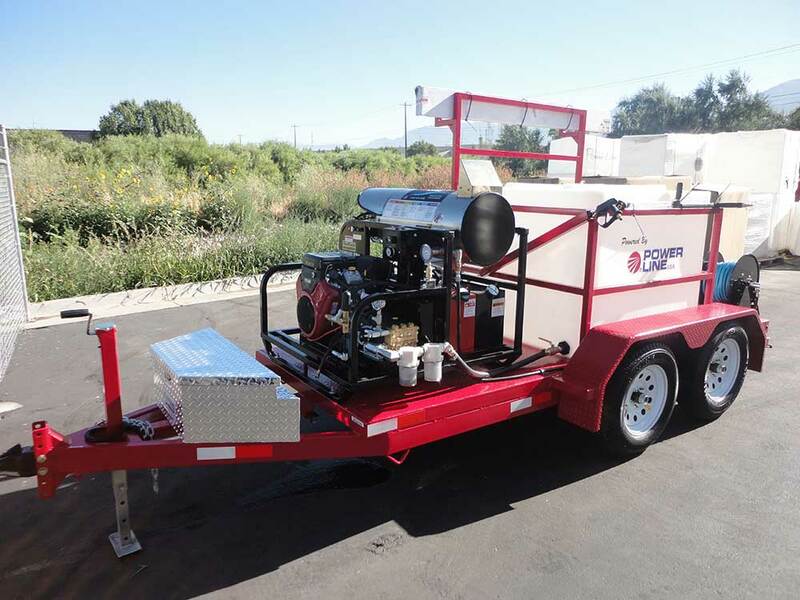 The ST18 Tandem Axle Trailer Mounted Pressure Wash unit is custom from the ground up! 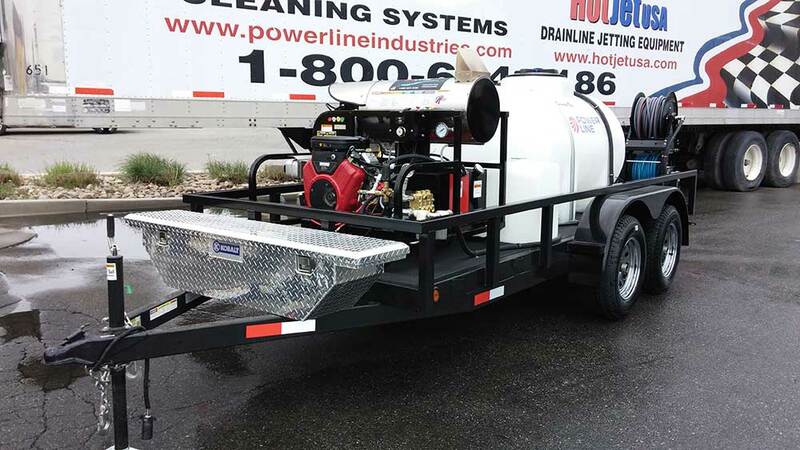 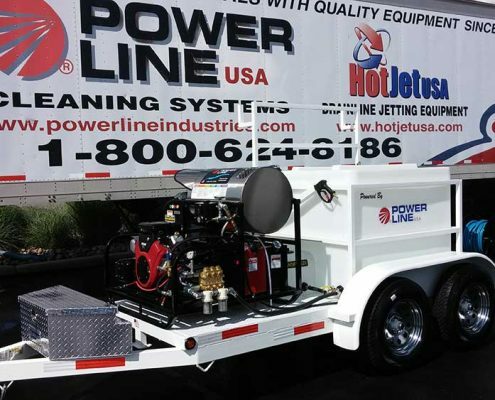 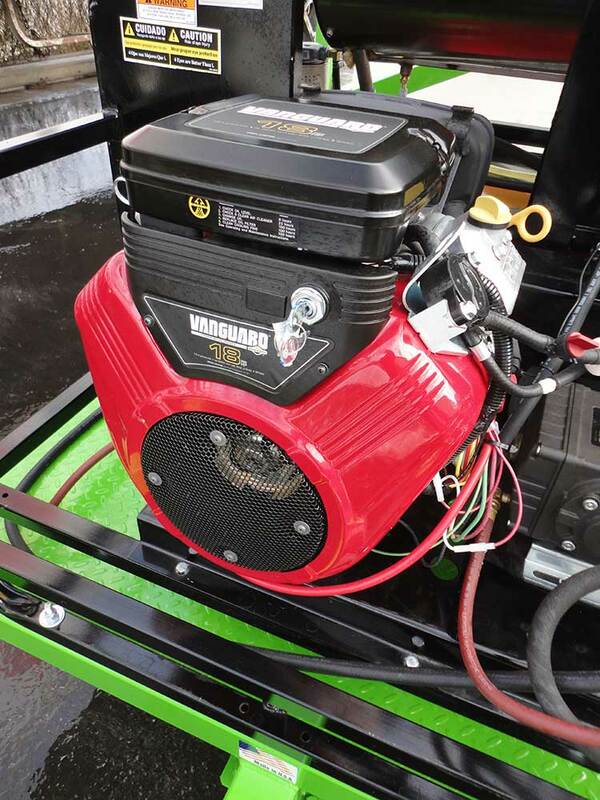 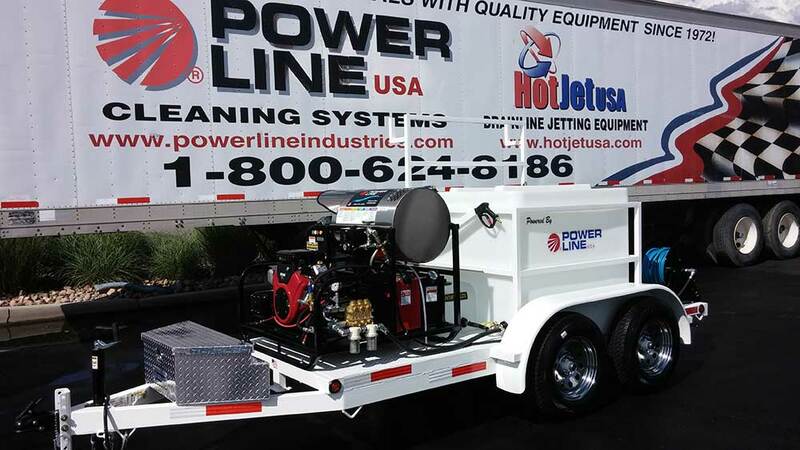 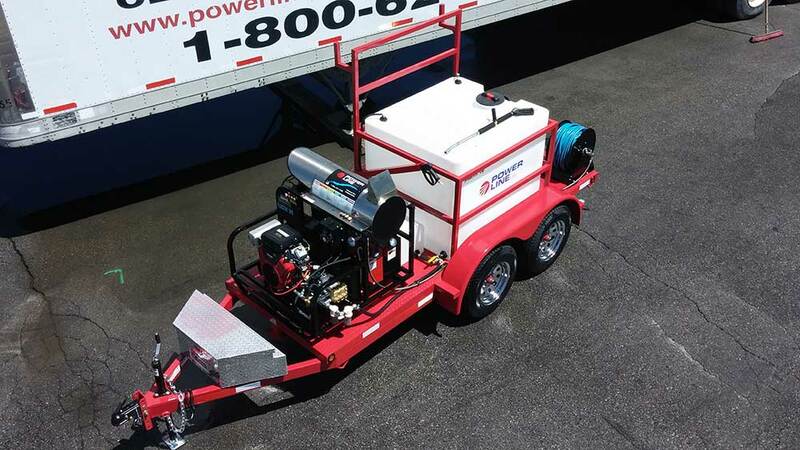 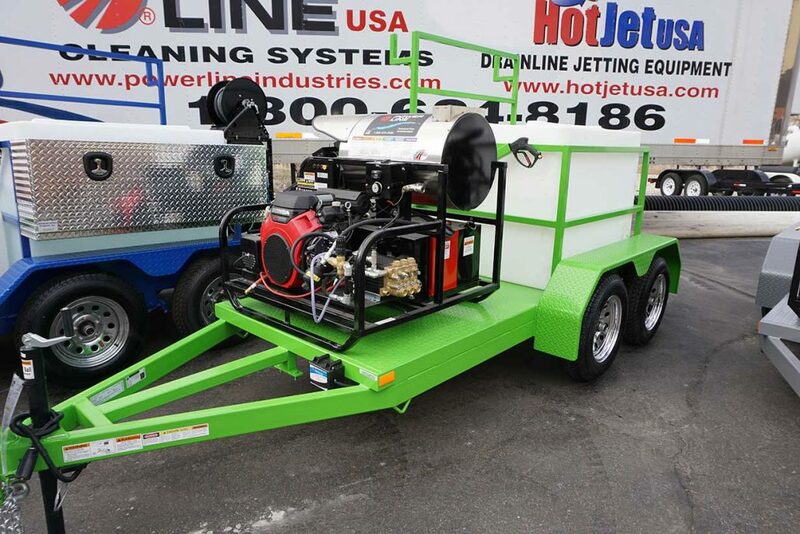 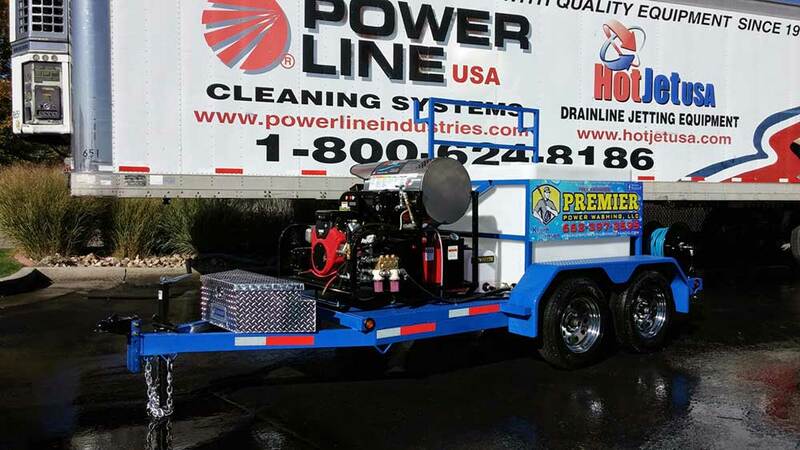 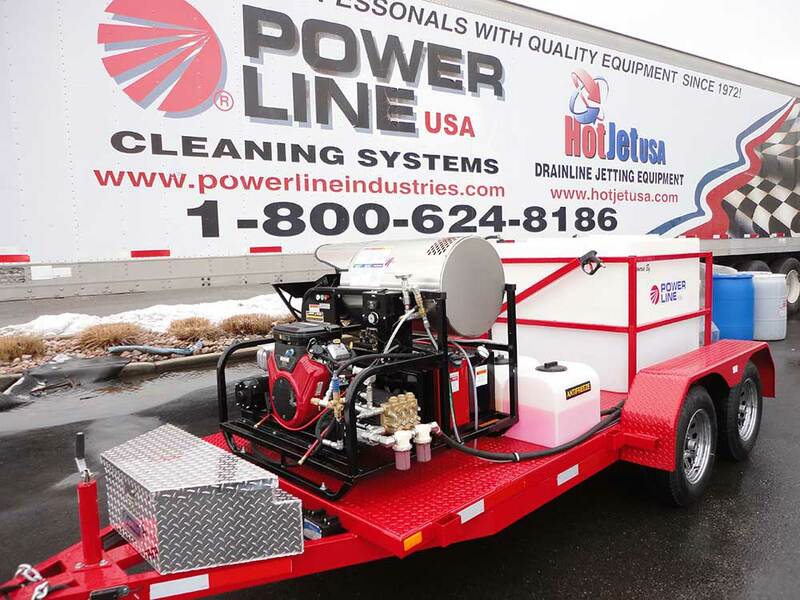 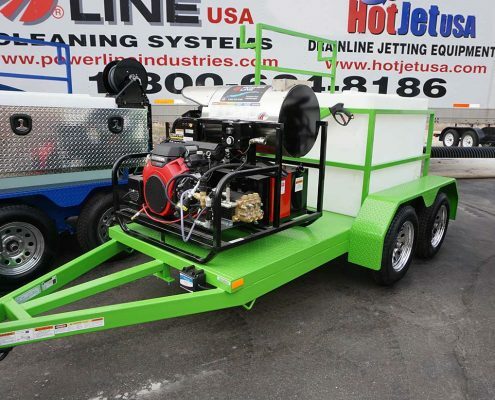 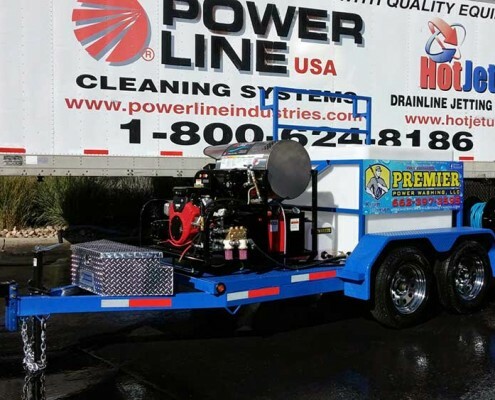 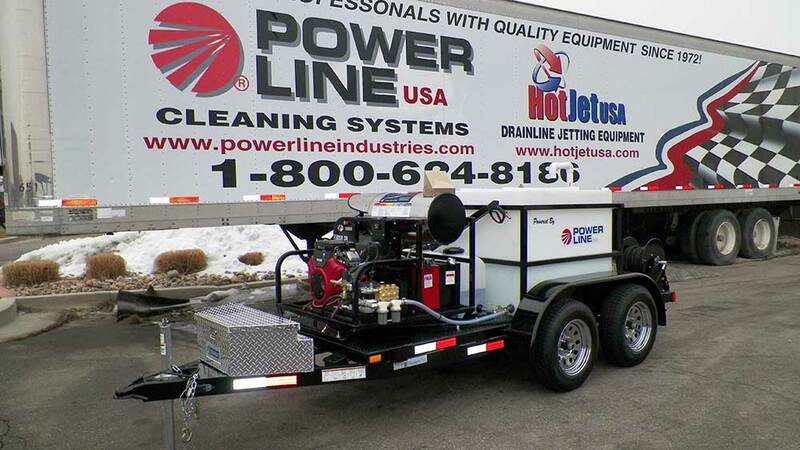 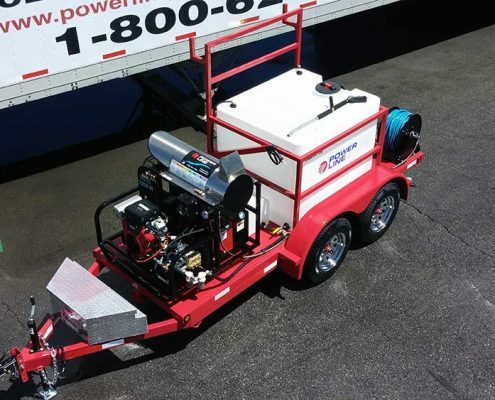 Featuring a 10.5′ full Diamond Plate Steel Deck Trailer with a 3,500 lb axle, and an 18 HP Premium Power Plant that delivers 3500 PSI with a Premium, dual belt driven General Pump. 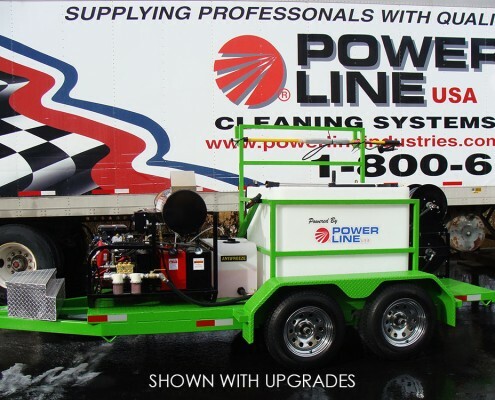 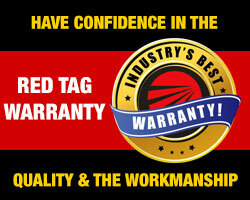 Perfect for the budget minded contractor that wants to look and be professional! 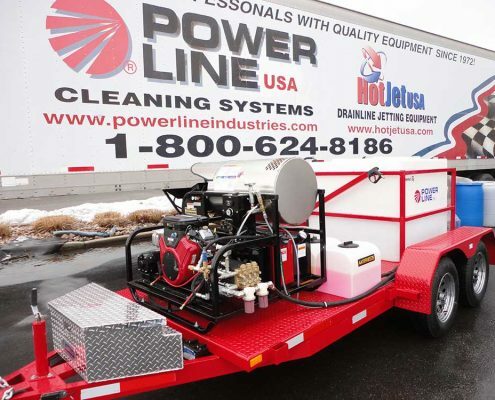 Features a new single axle trailer design and an extremely efficient heater coil – saving fuel and generating enough cleaning power to clean nearly any job! 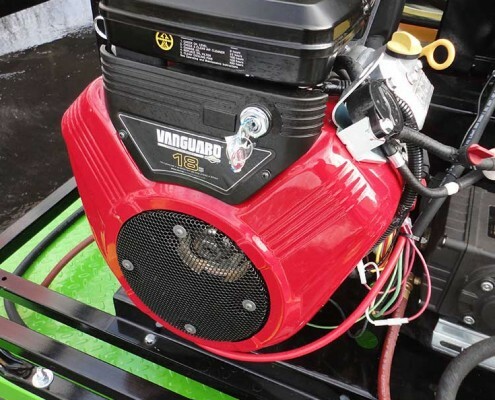 Generates hot or cold water as well as steam, and is fully upgradeable.